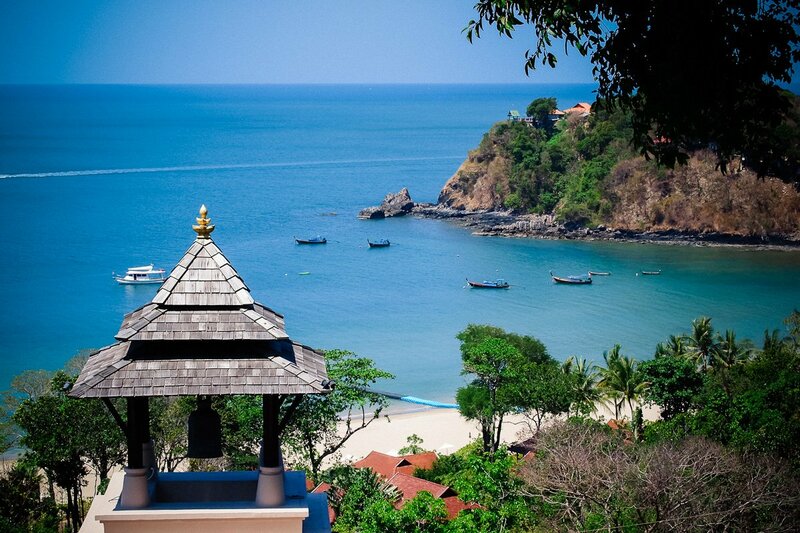 Koh Lanta – one of the hidden treasures of Thailand and one of the most beautiful honeymoon spots of the country. 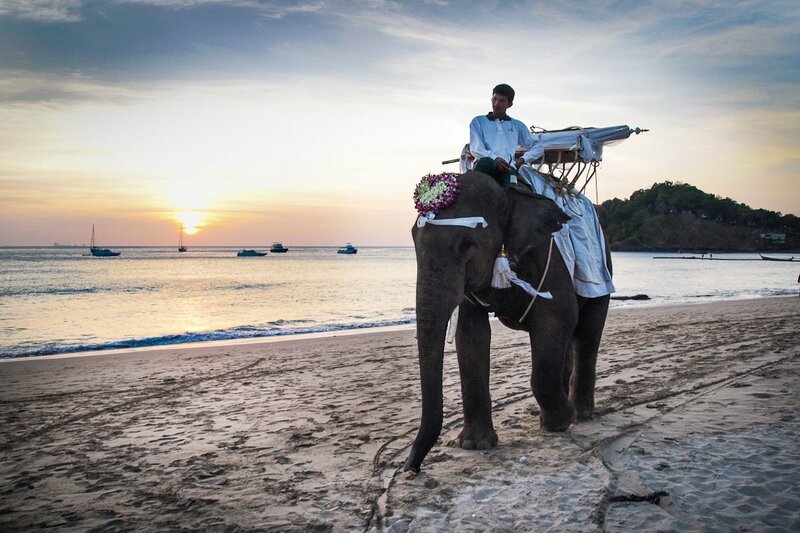 We visited in February the breath-taking tropical island off the coast of Krabi in the Andaman Sea. 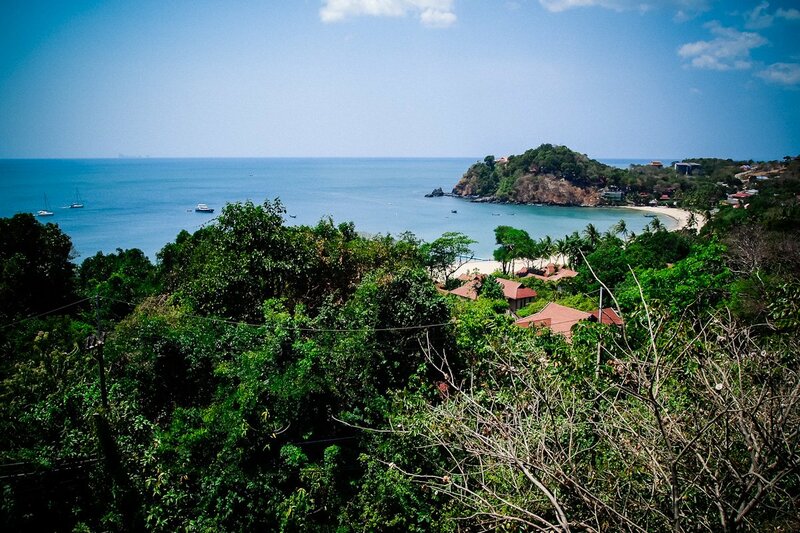 After a flight of one hour and a half from Bangkok, another 50 minutes by taxi and another 45 minutes by speedboat southbound you arrive at the remote Ba Kan Tiang Bay. 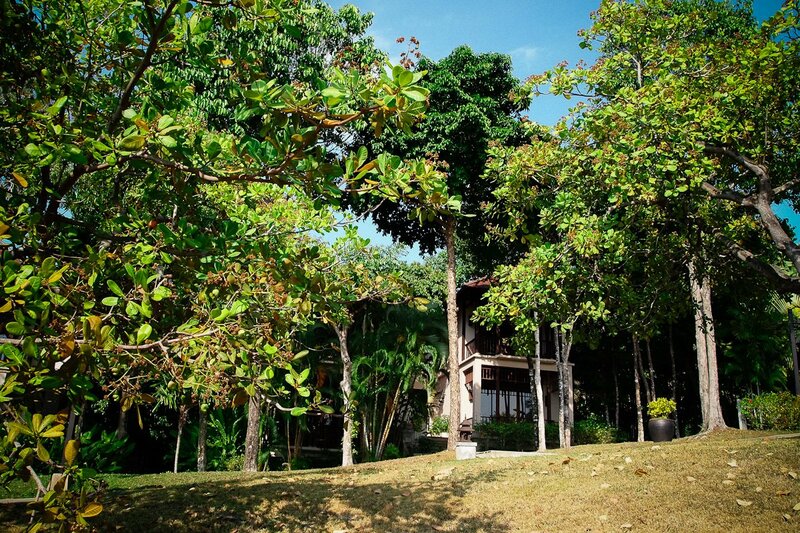 It is seen from afar the beautiful villas that are embedded in the rain forest and spread over the rolling hills. Welcome to Paradise! 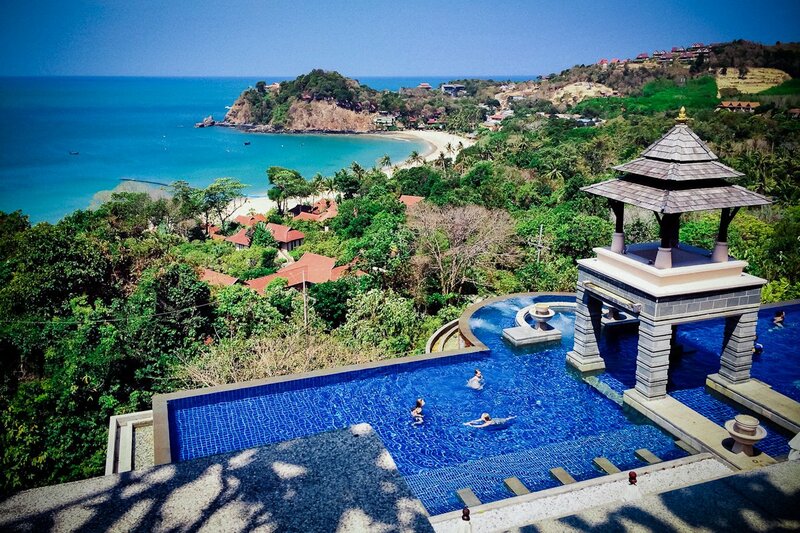 The five star Hotel Pimalai Resort & Spa was built in 2001 and it belongs to the „Small Luxury Hotels of the World”. It is the most luxurious resort of the island and it is located at a nearly 900m long brightly white sandy beach with turquoise waters. The old Sanskrit words Pimon and Alai, that make up the hotel’s name mean: place of purity, on a little place in heaven. 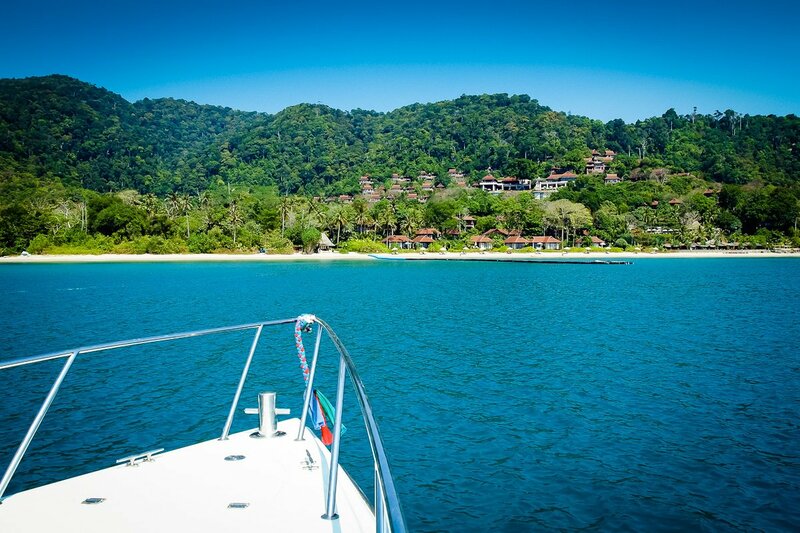 Here you can enjoy the life under coco palms and in lush tropical vegetation on a nearly untouched island. 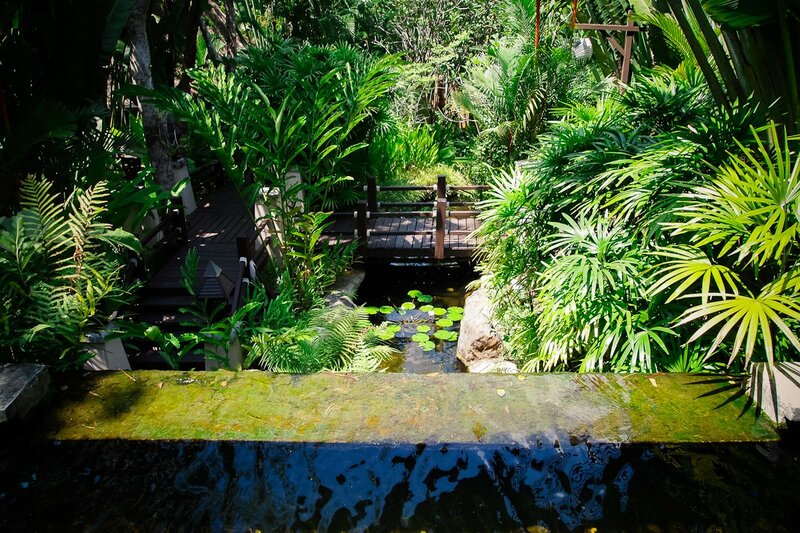 The resort has 121 rooms, suites and villas and is separated into two parts by a rarely trafficked street. 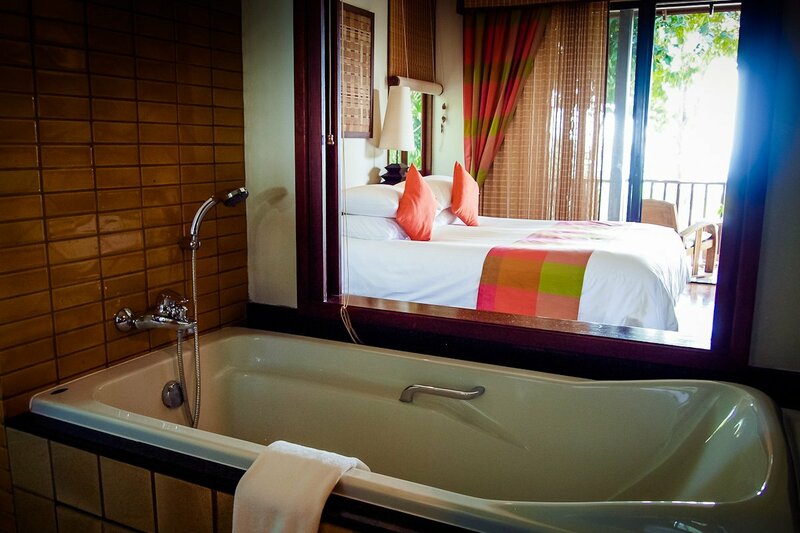 The Deluxe rooms, the suites and the beach villas are located on the lower part. The upper part (comfortably accessible by buggy) is reserved for the pool villas. We stayed in a spacious 48sq Deluxe room with balcony. 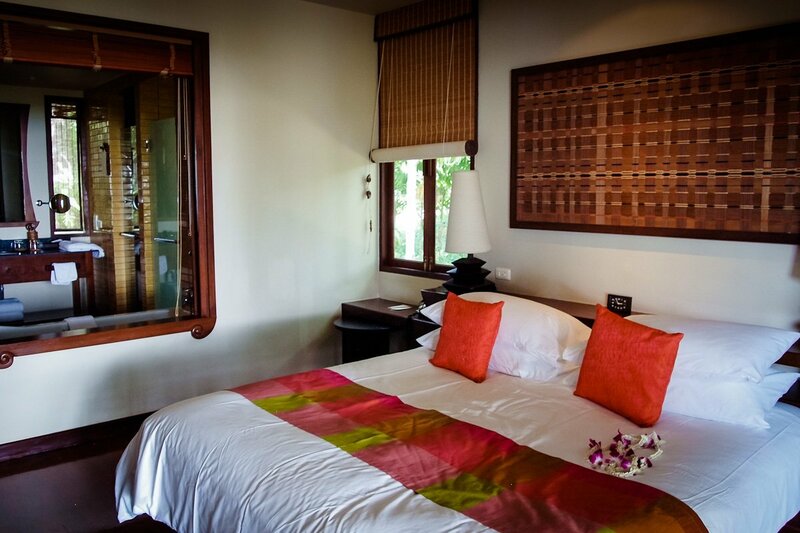 The rooms are furnished in Thai style with a lot of teak and bamboo and they are spread into two-storied units. From the balcony we had a good ocean view including the sunset. 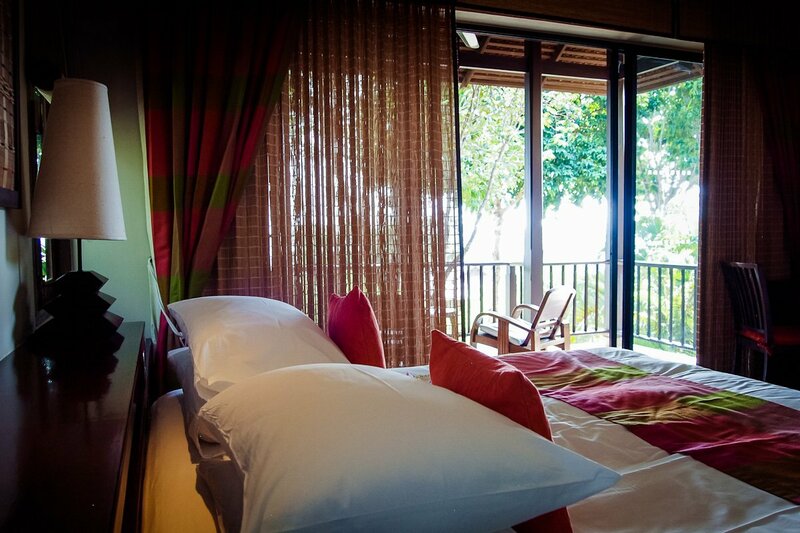 The 70sq Bayfront Deluxe Rooms near the beach offer a great view from the balcony and the bathroom over the bay. The Pavilion Suites (110sq) with their living room and bedroom have a terrace and a private garden with open air shower. Perfect for the honeymoon: The spacious One-Bedroom-Pool-Villas (204 sq) with gorgeous sea view which are located further up the hills. They have a separate living room, kitchen unit, outdoor Thai Sala and a terrace. The highlight is the 22sq swimming pool. 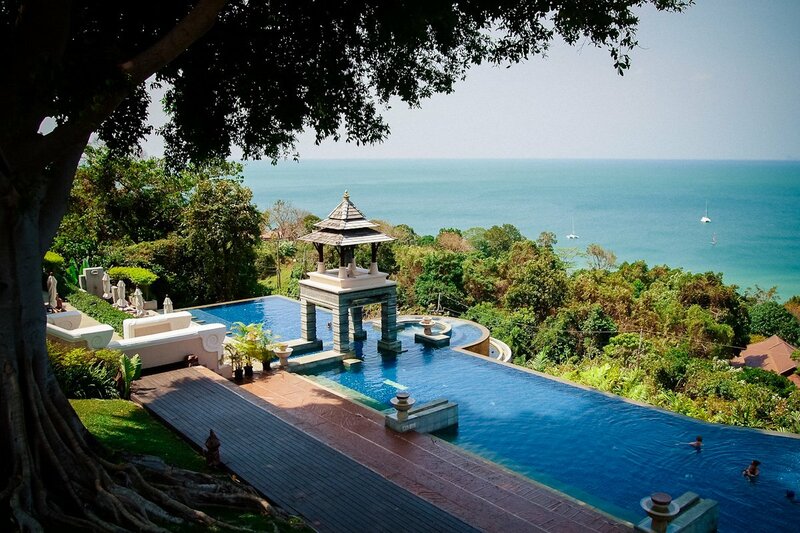 By their sloping site (60m over sea level) they offer a spectacular view over the Andaman Sea. 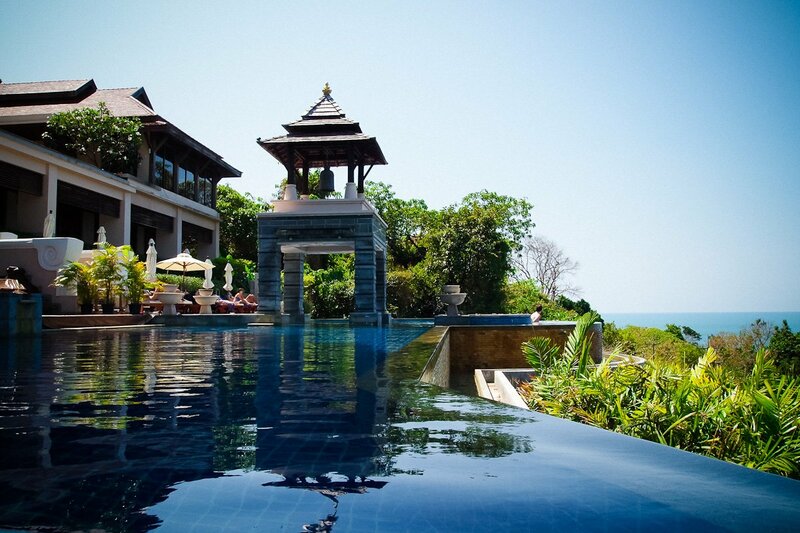 Next to the nearly unspoiled beach the hotel has two spectacular infinity pool and a whirl pool. 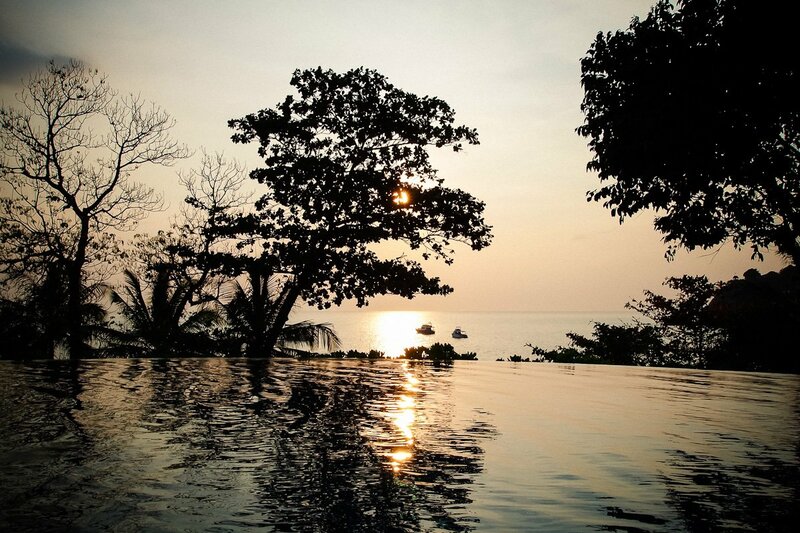 We loved the infinity pool high up near the Seven Seas Restaurant! 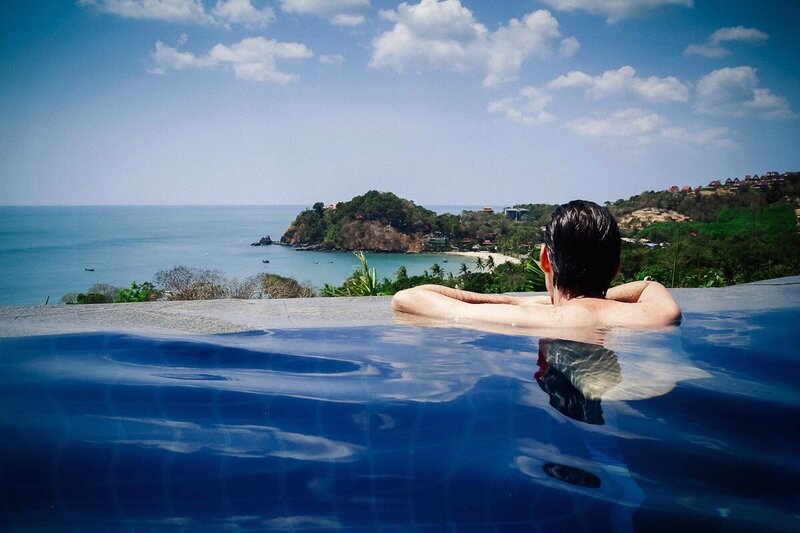 You can have yourself brought there by buggy and then you can stay the whole day and relax. The view is just breath-taking. With a cocktail in your hand you can admire the sunset in a very romantic way. 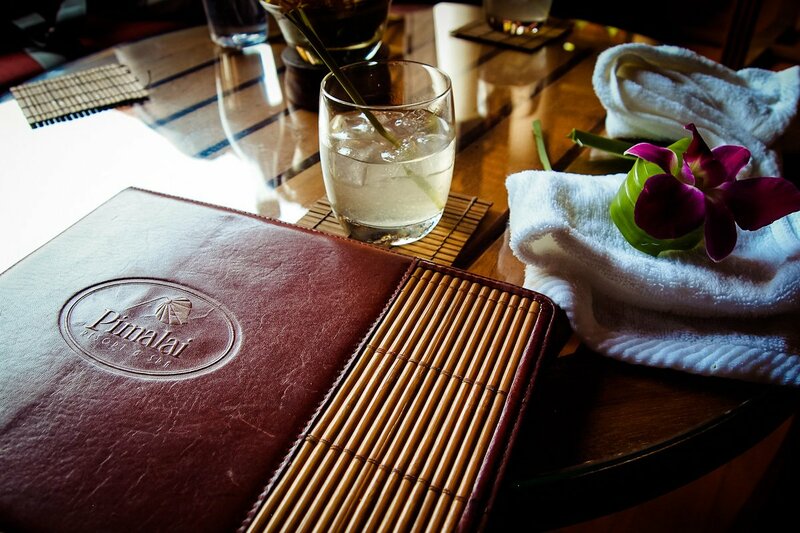 You can have yourself culinarily got spoiled in five restaurants and four bars. 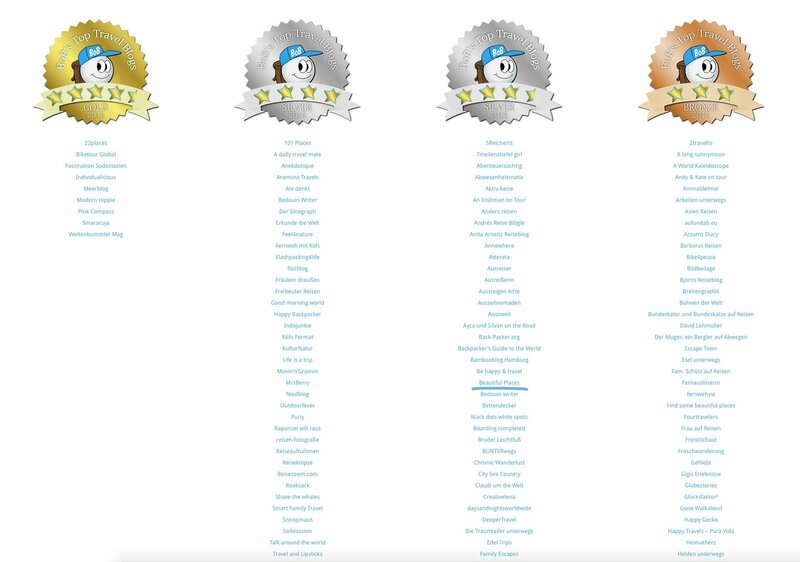 Each restaurant has its own style and an incomparable ambience. 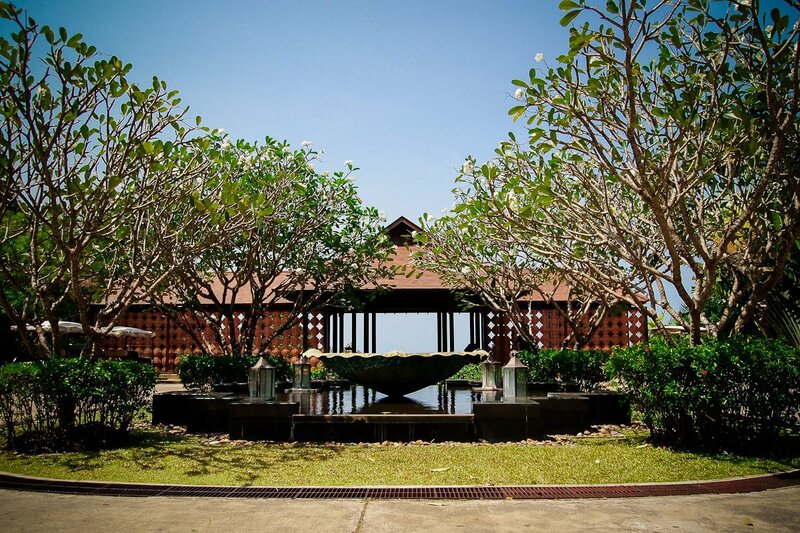 The main restaurant „Baan Pimalai“ serves Thai and international specialties. 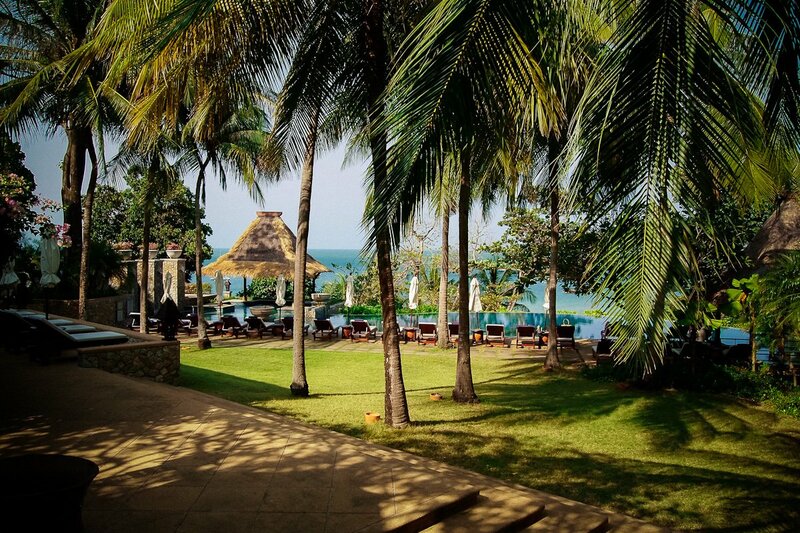 In the „Spice´n Rice“ restaurant you can have breakfast and in the evening you can get everything from Pad Thai to Fried Rice in a relaxed and romantic atmosphere. Far up over the bay in „The Seven Seas Restaurant & Wine Lounge“ with spectacular view you can have international cuisine and noble wines. 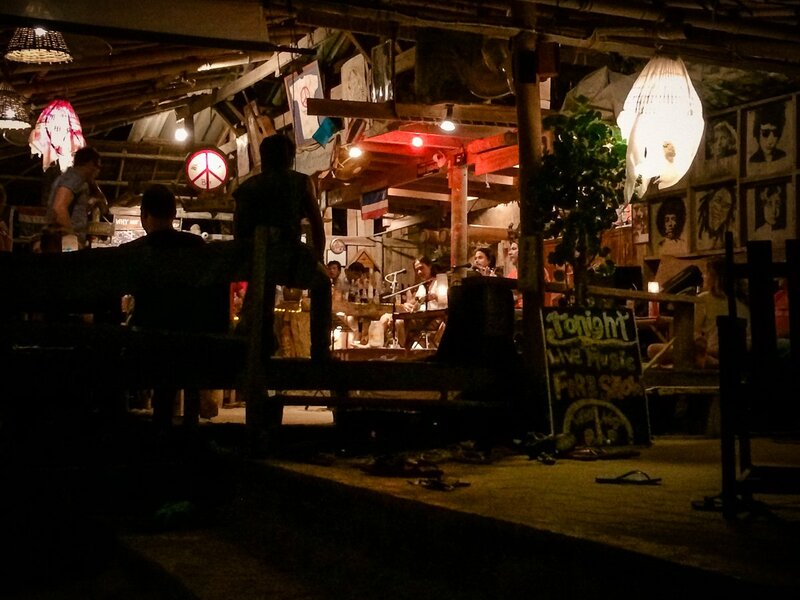 In the „Rak Talay Beach Bar“, the beach restaurant you can sit snuggly with your feet in the sand. The food is delicious! 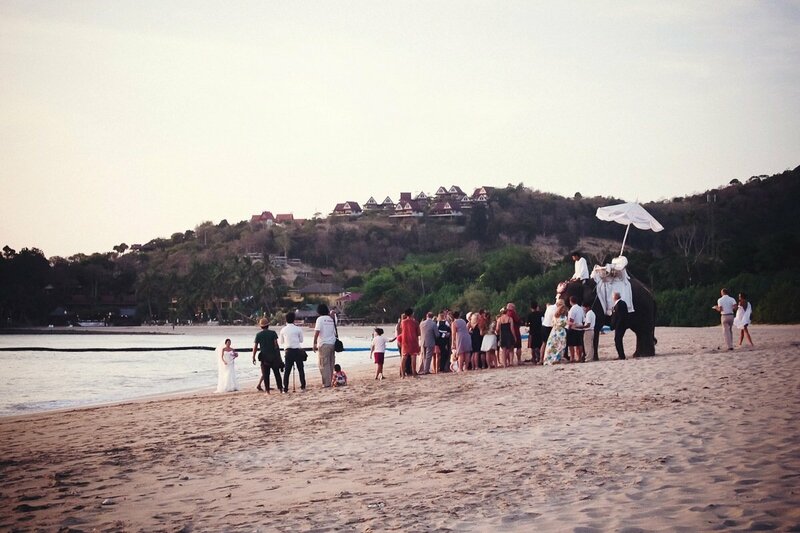 Nearly every day you can see a wedding at the beach. Everything is being lovingly and individually prepared for the couple according their wishes. 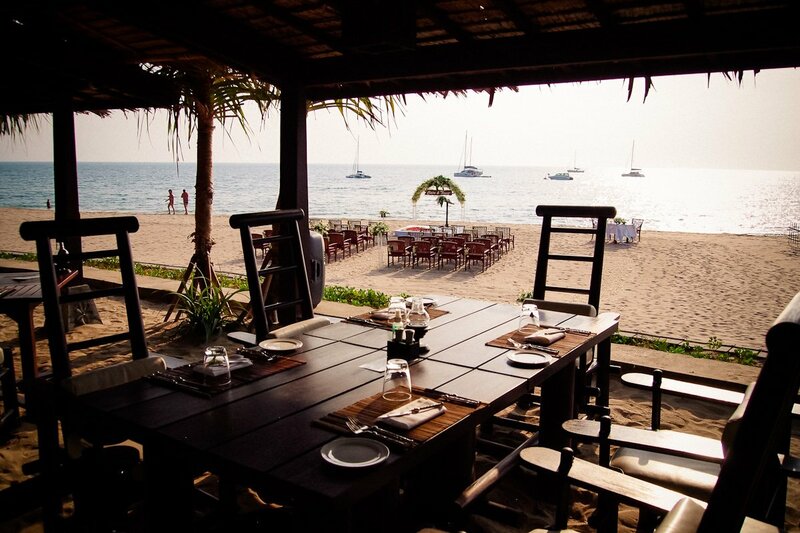 From fresh and casual to exclusive and elegant with an own banquet table on the beach. Of course there are some hotel guests and tourists at the beach, but the area is being spaciously enclosed so that you have your own private atmosphere. 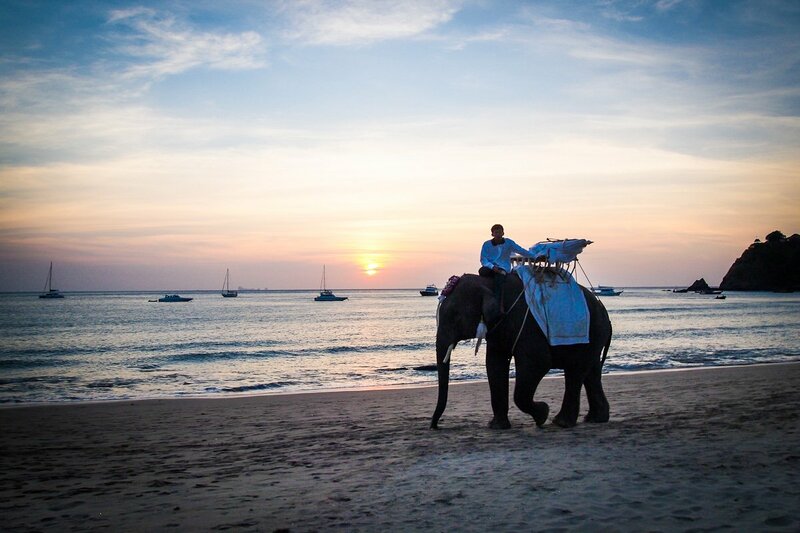 The marriage ceremony at the beach (Buddhist or Christian) takes place in the evening at sunset. 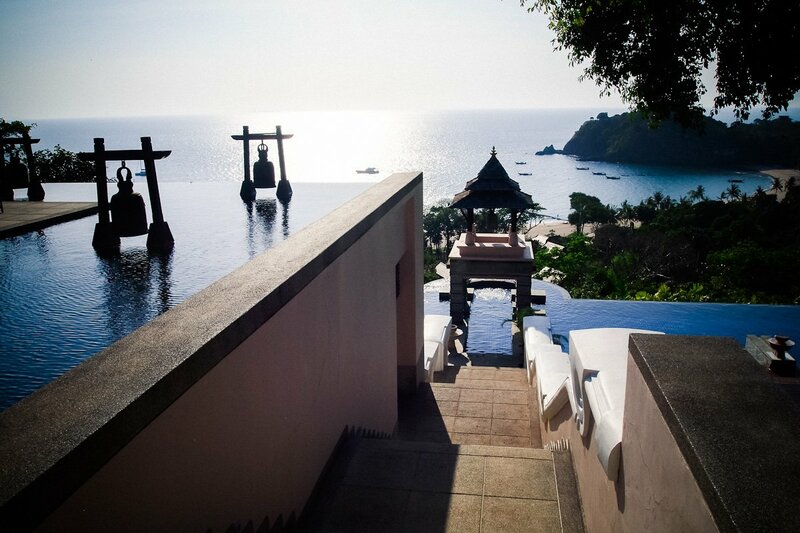 If we had not married on the Seychelles, this hotel would have probably been our alternative choice for Thailand. 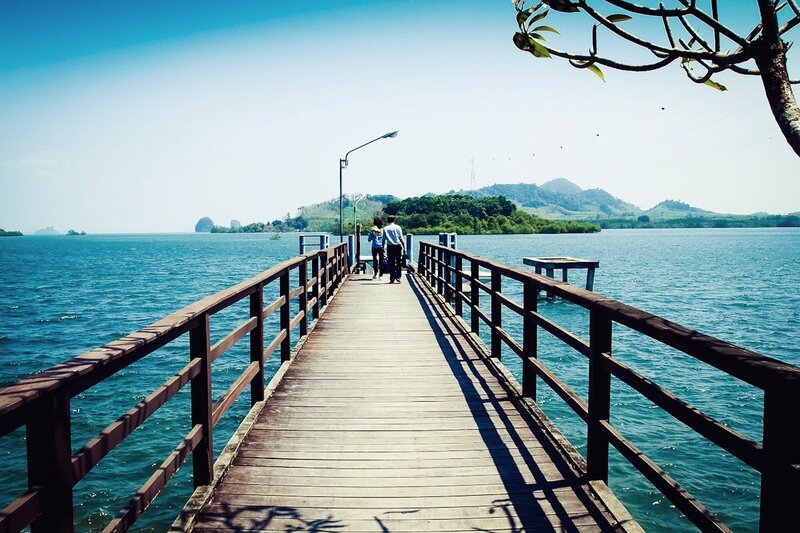 The isle and the hotel are just perfect for marriages. 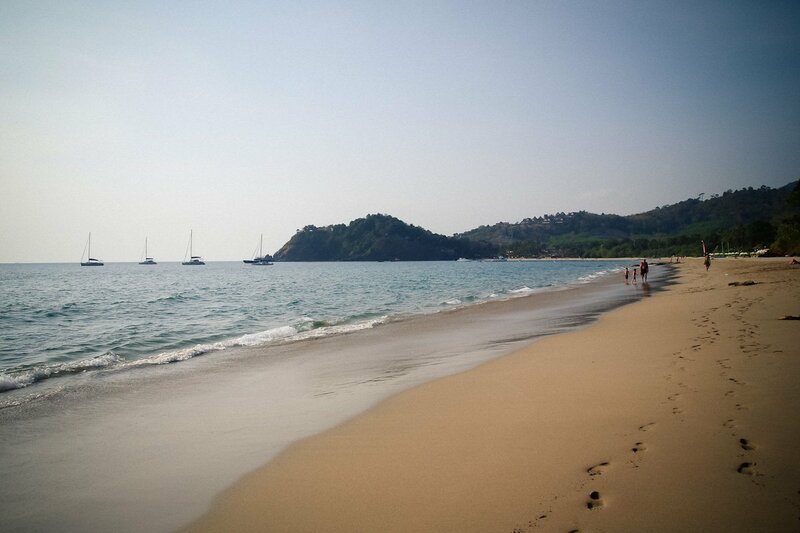 A nearly deserted beach, wonderful nature and a lot of privacy. And in the Seven Seas Restaurant high up the hills with great bay view you can spend a wonderful evening with your guests. 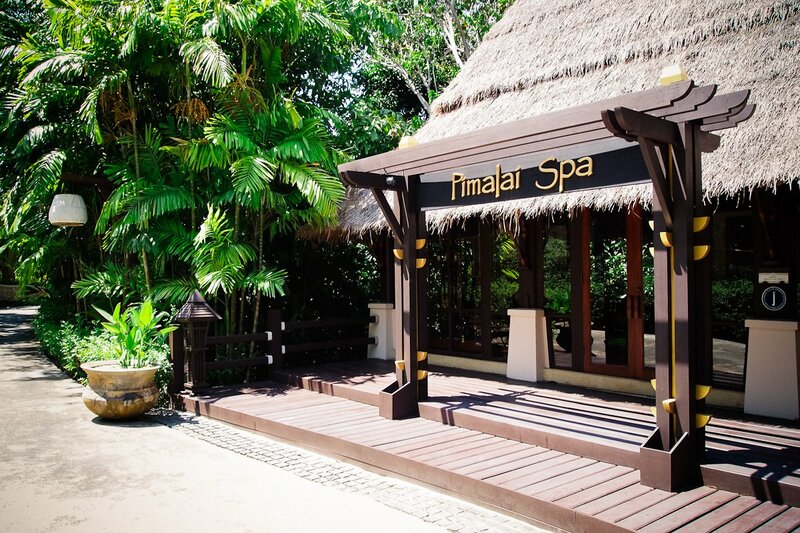 You can spend relaxing moments in the rewarded Pimalai Spa, which is located in the middle of an exotic garden in the jungle. 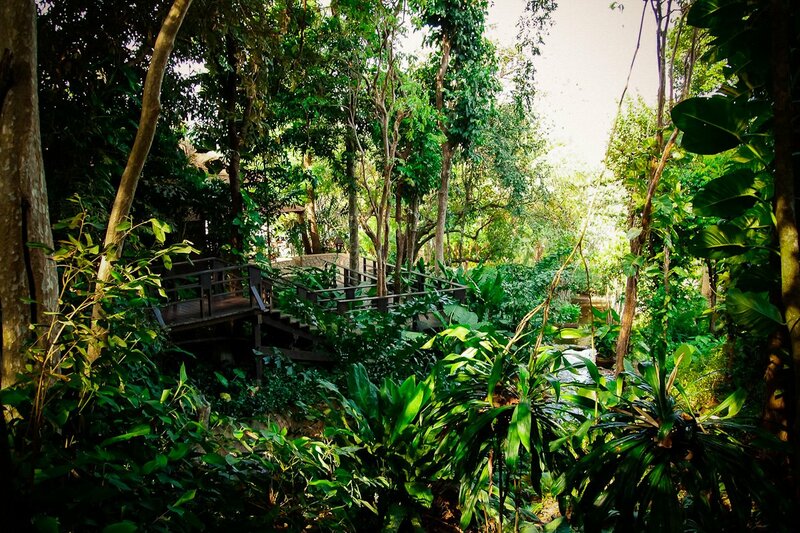 In the pretty thatched roofed pavilions made of teak, bamboo and boulder you can have aroma therapies and other relaxing wellness applications. 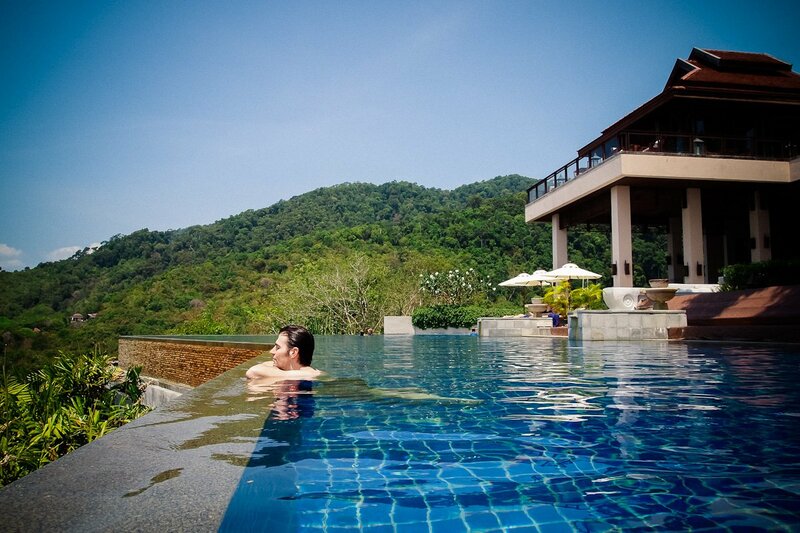 We had the Pimalai Signature Massage, which is a picture-perfect dream, rally wonderfully relaxing! 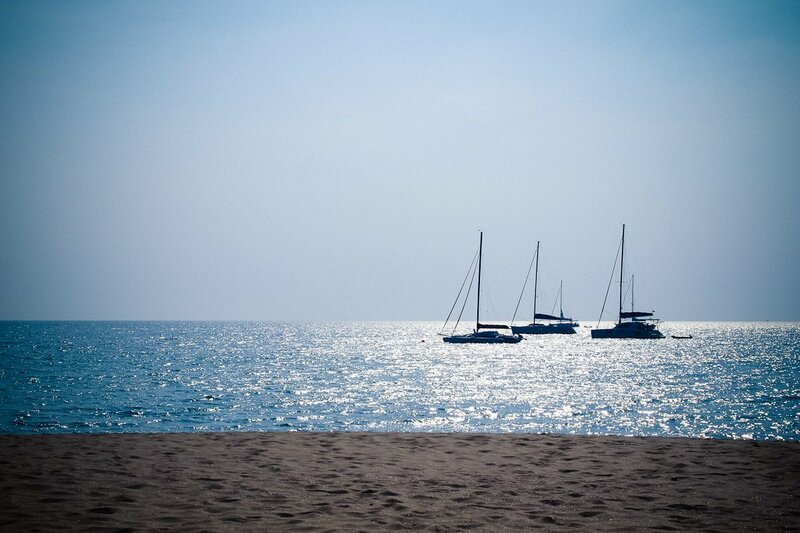 Besides there is a fitness center, tennis courts, beach volley, wind surfing, sail boats, canoe, bike rentals and a PADI dive school (from November to April). 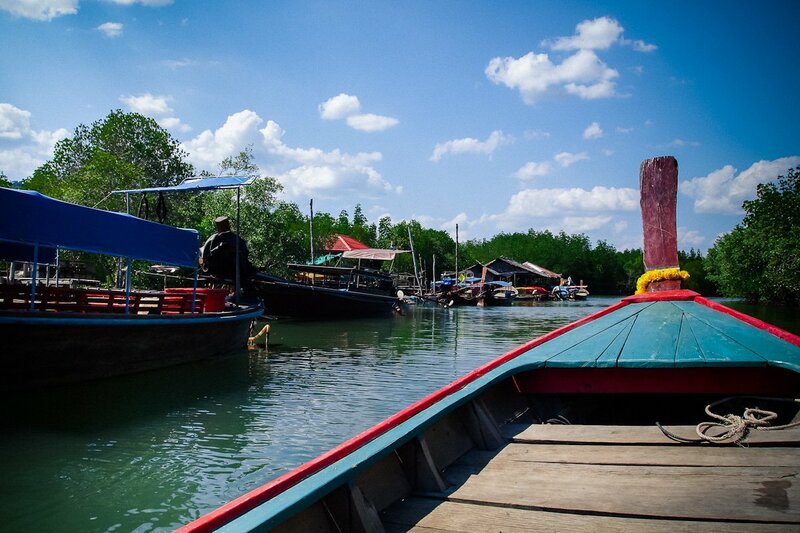 In the main village Saladan, in the north of the island, there are Thai restaurants and numerous shops that invite you to stay. At the beach you can walk to some relaxing restaurants and bars. 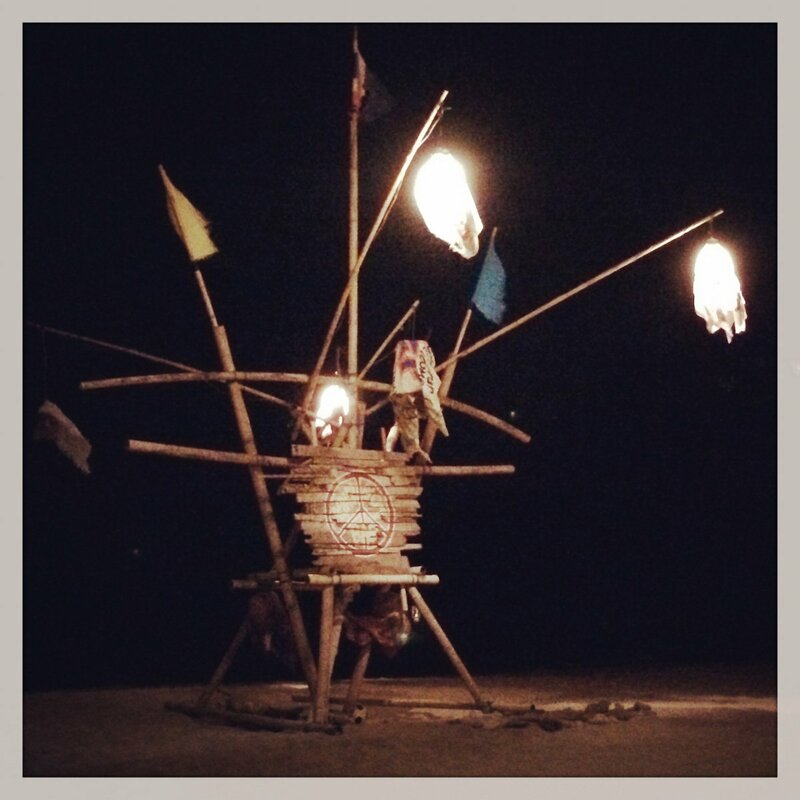 The “Why Not Bar” directly at the beach offers delicious cocktails, fire shows and live music. The employees are good humored, cool guys. This is already worth the fun! And who can sing, can rock the bar together with the band. And when you go the other direction you can have a cosy evening in the “Same same but different”. 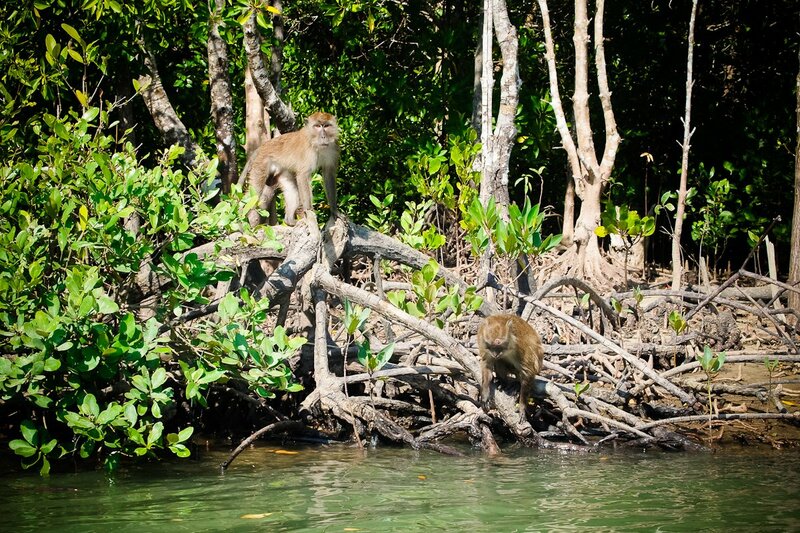 In the Ease of the island there are vast mangrove forests which can be visited by kayak, by longtail boat or in a tour. Take some bananas and feed the monkeys. They come and get them in your boat. But you’d better stay away from the restaurant “Thung Yen Pheng Sea Food”. It is great with its fresh fish but we have had an upset stomach. But by this we could experience the exquisite medical service at the hotel. The nurse (24h service) has taken good care of us and did a perfect job. 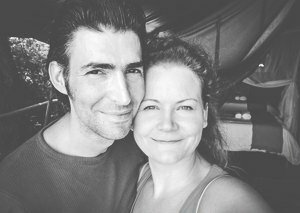 We received medicine and the next day we felt a lot better. The offshore islands offer perfect snorkeling and diving areals. 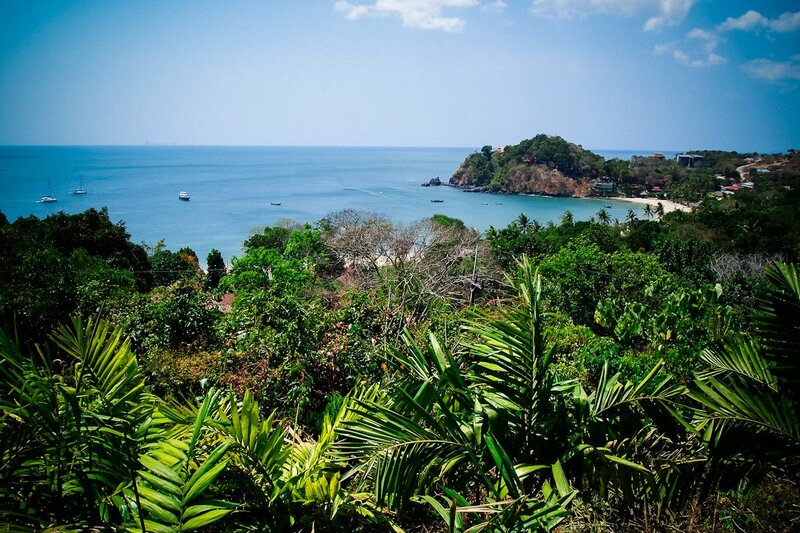 Some day trips are being offered, so that you can discover the islands around Koh Lanta. 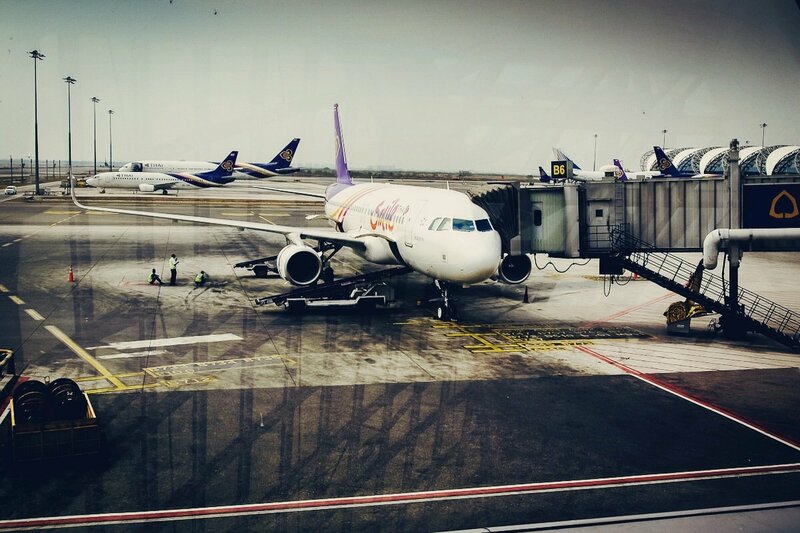 If you stay for at least three night the transfer from the airport is included. 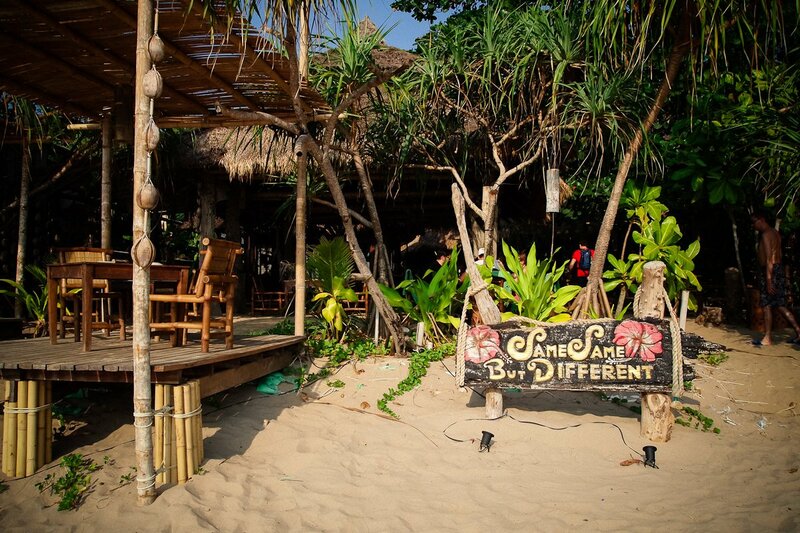 It is better you stay 5-7 nights so that you can better discover the island. Once you setteled down, you do not want to leave any more! 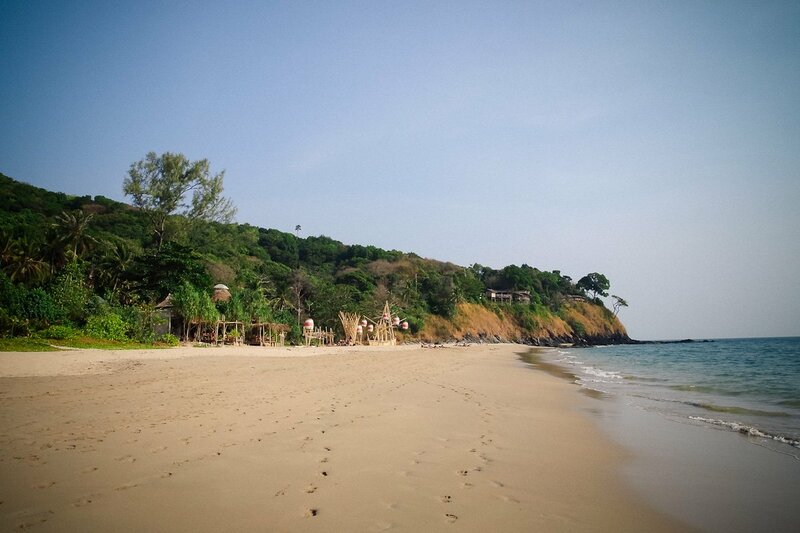 Transfer: from the airport (70 km distance) to Baan Huahin Pier 50 min, from the pier to the resort ca. 45 min with the speed boat, from May to October overland transport with two ferry trips.